The tickets for Apogaea are non-transferrable, an element that many in the Burn community have voiced as being a clear and simple solution that BMORG should have used. The possible pros of this process, in my sometime less than humble opinion, FAR OUTWEIGH the cons. Yes it prevents people from gifting tickets, and for those of you who have read my previous articles on gifting, you know how important gifting is to the culture and the experience, as well as to me personally. 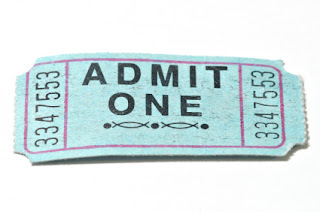 Non-transferrable tickets do not prevent anyone from gifting tickets; any person who would like to gift tickets can simply gift the money for the ticket in place of gifting the actual tickets. Non-transferrable tickets almost completely inhibit the ability for scalpers to molest the system; and, more importantly, safeguard against the increasing commoditization of tickets. There are always ways to manipulate things, but for the majority, scalping of our culture, our friends, and our family would be prevented. There is also concern that providing ID to get into the city would be an invasion of privacy, and contradict the principle of Radical Inclusion. This is completely wrong. Everyone HAS IDs, and requiring ID to enter is not an intrusion of privacy. If you are flying on a plane to Nevada you have an ID. If you drive a car to Nevada you have an ID. If you are riding in a car, you most likely have an ID. Providing ID is not an invasion of privacy, and I for one would be glad to show mine at the gate to heaven, if it meant no one would be paying upwards of $1,000 for tickets. Regardless of how terrible my ID picture is and how much it makes me looks like a drug-dealing-scum-douche-bag-of-a-thug, I would happily do it. Maybe next year BMORG will take some direction from the APO planners and use a direct headshot on the ticket-problem-zombie. I sure hope so. Lock and load BMORG, it’s your move.